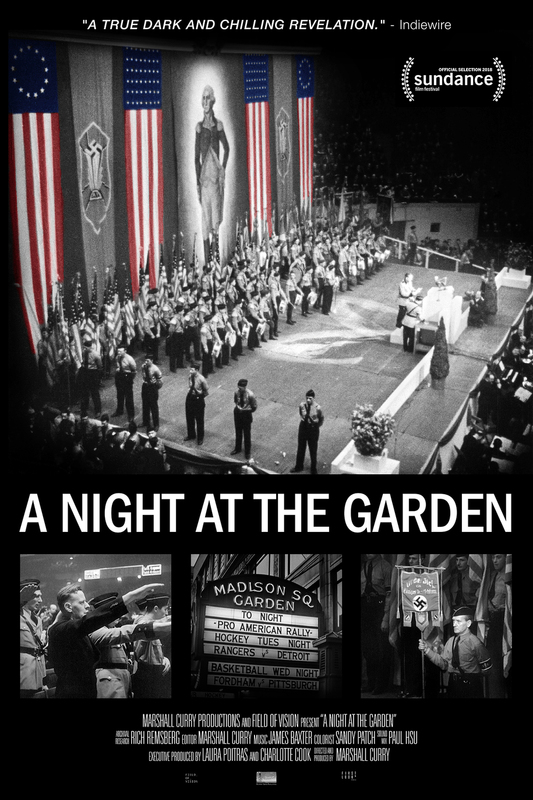 A 1939 Nazi rally filled Madison Square Garden in New York City. Fritz Julius Kuhn, the leader of the German American Bund, a pro-nazi organization, gave a speech full of anti-Semitic and pro white-Christian slogans. In Trump times, this could easily happen again, substituting anti-Semitic by anti-Muslim. According to a Mar. 1-4 poll, 64% of Americans believe Trump had a criminal activity before he became president and 45% believe he continues to this day. It is unprecedented. In his days, Nixon said, “I’m not a crook,” and he resigned. But this one is still there, “despite of the fact that a majority of Americans believe the president is a crook,” as political commentator Mike Barnicle expressed on MSNBC this March 6. This extends to his entourage: Trump has just named as special envoy to overthrow Venezuelan President Nicolas Maduro, Elliott Abrams, a criminal convicted for his role in the infamous Iran-Contra scandal in the 1980s, when he was acting as Assistant secretary of state for Inter-American Affairs under Reagan. As a result, Trump is now focusing on his electorate. “He has abandoned any hope of bridging divides or appealing to moderates. Instead it is all about turning out the base with apocalyptic warnings of open borders and violent crime.” That is, getting the country immunized to shock and disbelief in anticipation of the revelations that are sure to come with all the investigations that the Democrats have initiated about him. In an interview on Mar. 13, on the far-right Breibart site, Trump boasted of having “the support of the police, the support of the military, the support of Bikers for Trump. I have the tough people, but they don’t play it tough until they go to a certain point, and then it would be very bad, very bad.” Two days later, on the other side of the globe, a nativist took action, killing 50 worshipers in two mosques in the aptly named city of Christchurch, praising Trump as a “symbol of white identity and common purpose.” New Zealand is three-quarter English, Irish, and Australian, the result of the “White Australia” policy also in force in New Zealand for more than a century until 1973, which favored white European immigration. “When civility breaks down, the powerful profit,” said journalist Shane Ryan, reporting on how Stephen Miller and Kirstjen Nielsen – the two highest anti-immigration officials – each chose, two days apart, to eat at a Mexican restaurant in the midst of the controversy over the forced separation of emigrant families on the Mexican border. They were both chased away. Ryan thinks that the purpose of these people is “to stoke liberal fury” so that violence erupts from both camps, following the Nazi prototype. It is Trump’s “style” that boils down to looking for a fight with the Democrats over words rather than policies – too complex for him – preferably on television, his favorite medium. For example, he met at the White House on Dec. 11 with Chuck Schumer, the Senate minority leader, and Nancy Pelosi, Speaker of the House. When he saw that Congress would not give him the $ 5.7 billion for his wall, he abruptly ended the discussion and shut – with pride! – the government. During a flowery and lively monologue of five and a half minutes, Gutierrez – whose Puerto Rican parents did not speak English! – documented the lies of Nielsen and Trump on the separation of children on the Mexican-U.S. border, the massive invasion of immigrant caravans, and even the importance of the crowd at its inauguration and his administration’s achievements, which made the whole UN General Assembly laugh last September. Two and a half months later, on Mar. 6, it was the turn of representative Lauren Underwood, Democrat of Illinois, vice-president of the House committee on Homeland Security, and nurse of formation, to “expertly grill” Kirstjen Nielsen on family separation at the border, particularly on the trauma inflicted on young children. Faced with Nielsen’s usual denials, Underwood came out of the hearing noting that Nielsen was “very clearly sticking to her script, her script of talking points, acknowledging that there was a need for this type of extreme actions that doesn’t reflect American values,” a script naturally written by Stephen Miller. Such an attack on children is observed in occupied Palestine by Israel. 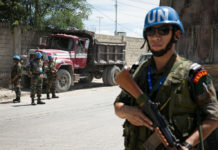 Sara Hossain, Bangladesh lawyer and member of the United Nations Independent Commission of Inquiry on the protests in the Occupied Palestinian Territory: “We are saying that they have intentionally shot children. They have intentionally shot people with disabilities. 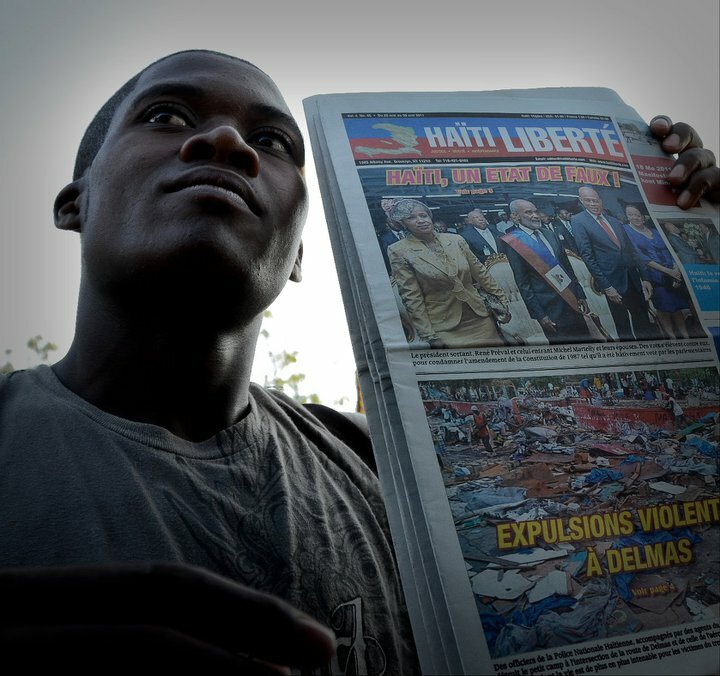 They have intentionally shot journalists.” War crimes. Between Mar. 30 and Dec. 31, 2018, the Israeli army wounded 6,106 unarmed demonstrators, killing 189 people, including 35 children. The Israeli government has already destroyed a few thousand houses of Palestinians, usually under the pretext that a “terrorist” lives there or that they do not have a building permit … that they systematically deny them. In Jerusalem, they push the cruelty by forcing the Palestinians to destroy their own homes. 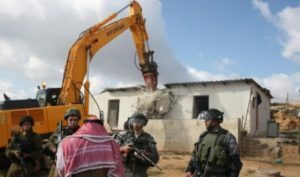 Same cruelty of the Israeli authorities against the Palestinians when they refuse permits to build on their own land and then force them to demolish the houses they have built anyway. It is the policy of occupation in Jerusalem: “Embitter the lives of the Palestinian residents, fill them with despair and maybe they’ll finally leave their city. Treat them with a heavy hand, torment them.” Just as the Trump administration hopes to discourage immigrants by separating them from their children and putting them in cold cages. And in both cases, the tormentors are the cause of the revolt in Palestine where people want to return to the lands from which they were evicted by the Israelis in 1948, and the exodus of emigrants from Central America where the U.S. policy has made life impossible, economically and criminally, for decades, and where the neo-liberal drift and deteriorating climate conditions are now making the situation untenable, the driving force behind caravans of immigrants. We will never stop from noting the terrible irony that it is the money of the big capitalists like the Mellons who financed U.S. imperialism’s plundering of Latin America’s economies, the same families who today fund the nativist discourse against the immigration they have entirely created. Rich lands, poor people. The cruelty of Israeli authorities is reported by Gideon Levy, the well-known Israeli journalist who closely follows the occupied territories for the Tel Aviv Ha’aretz newspaper. In the same Mar. 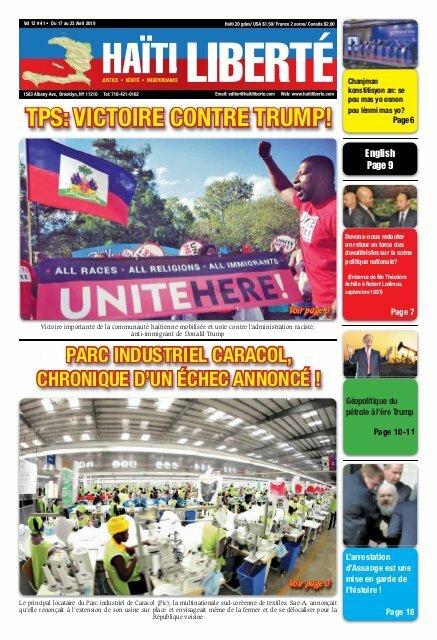 7 issue, he sent a message to U.S. representative Ilhan Omar: “Keep it up!” when she bravely protested against the power of the Israeli lobby in the United States, raising a media storm and the traditional accusations of anti-Semitism whenever one dares to criticize Israel’s policies. But times seem to be changing with this young generation bringing a breath of “fresh air,” says Levy, in the dark corridors of the Capitol, and hope to end the incessant attacks on morality in this country. Along with Omar (37 year old), are representatives Rashida Harbi Tlaib (42), Katie Hill (31) and the famous Alexandria Ocasio-Cortez (29). Among the Nazis, Adolf Eichmann, the main executioner of the Holocaust, was, like Miller, an ordinary man but in a position with power of life and especially of death over millions of people. His defense was that he acted “in accordance with the law.” According to the loyalty to the boss that we mentioned, Hitler’s orders became the law. And every law, every command was turned upside down. It was not anymore “Thou shalt not kill,” but “Thou must kill.” Morality became immorality. It is interesting to see that every top immigration official says he/she is simply following the law: Kirstjen Nielsen, Stephen Miller, Lee Cissna, Gene Hamilton. Moreover, they all blame the problem on Congress: if you find it immoral, ask Congress to change the law! But each time, their Republican accomplices block the bills, like Miller and Jeff Sessions did in 2015 and … now. On Mar. 13, Democratic representatives Nydia Velázquez, Lucille Roybal-Allard, and Yvette Clarke introduced, with the support of more than 190 Democrats in the House, including House Speaker Nancy Pelosi, a bill legalizing the TPS and DACA recipients. “We are not going to allow Donald Trump to send them back, and we are not going to ask them to live in a constant state of fear and uncertainty,” they said. Remember that it was Graham who used to complain that Miller was blocking any resolution in the field of immigration. But since 2017 the tide has changed drastically. Along with the young progressive politicians of the U.S. Congress, federal judges are trying to stem this frontal attack on morality by the Trump administration and its apologists. 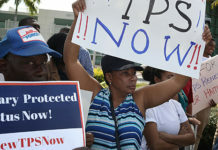 In light of this avalanche of evidence showing that the decision to terminate the TPS was purely political, with no regard to the facts (well-known CNN reporter Anderson Cooper said on Mar. 12 that White House press secretary, Sarah Huckabee Sanders, left “the world of facts”), it would be very surprising that Judge William Kuntz, or Judges Edward Chen, Dana Sabraw, Emmet Sullivan and all the others, do not find that the decisions of the Department of Homeland Security (DHS) were “capricious”. Then it will go on appeal, until the Supreme Court of justice which now leans to the right since the arrival last October of conservative judge Brett Kavanaugh. 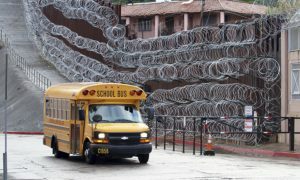 Razor wire cuts the border city of Nogales into two. 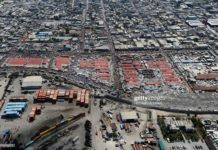 The world according to Trump: a few thousand poor refugees threaten to invade a country of 326 million people, with an army of 1.3 million, a reserve of 800,000, and 6,500 nuclear weapons. This court has already sided with Trump on the travel ban. It is also likely to confirm the national emergency when the issue comes up, especially that the federal party is now under serious attack by the Republicans. “They are confirming more judges per year than any other president in history,” warned Kristine Lucius, executive vice president at the Leadership Conference on Civil and Human Rights. And not just any. Of the 90 federal judges confirmed by Trump, 92% are white and 76% are male. It was a rare rebuke of a sitting president, on the part of a judge also appointed by Bush. Trump represents indeed the most reactionary wing of the Republican party. No one less than David Stockman, the budget director under the very conservative Reagan in the 1980s, just said on Mar. 15 on TV Hill that “almost everything that Trump is saying about the economy is totally baloney.” He did not mince his words: “We’re in deep trouble,” “he’s proposed a catastrophe of a fiscal plan,” “it’s an insult to fiscal intelligence, to say nothing of common sense.” Trump is proposing major program cuts in the budget such as Medicare and Medicaid, while boosting defense spending and seeking new funding of $ 8.6 billion for his border wall. We are at an important crossroads, with a growing polarization. On the one hand young representatives shake up the Democratic party, themselves reacting to the wave of fascism and the apocalyptic future that it announces. At the extreme opposite, young (and not so young) “creepy”, “[fallen] out of a truck” types – as David Letterman, the famous former TV presenter, called Stephen Miller – are pushing the Republican herd forward with slogans, and perhaps soon with blows, to submit to the “genius” Trump, in the same way that Ernst Röhm’s brown shirts brought Hitler to power by crushing any opponent. Ronna McDaniel, the Republican National Committee chairwoman, threatened in June 2018 any would be Republican presidential candidate saying that, “anyone who doesn’t support Trump ‘will be making a mistake’”. And several senior party officials have tried to squarely eliminate the primary elections to avoid any challenge to Trump from his own party when he will stand for reelection in 2020. In addition, many of the president’s Republican critics will soon leave Congress. It is especially amazing how nearly 90% of Republicans are now followers of Trump’s fantasy world. And vote against their own interests or preferences. It remains to be seen whether this new fascist generation are paper tigers, “without the sufficient attention span to set up a dictatorship,” as one commentator has said about Miller, or if the indecision of the Democrats will provoke a violent reaction. In the end, the Nazi leaders either committed suicide or escaped into the wild.